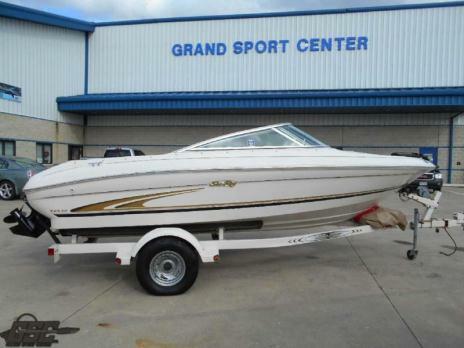 For sale is an 1990 Rinker 236 Sport Cuddy Boat. This boat is a restored turn-key boat. 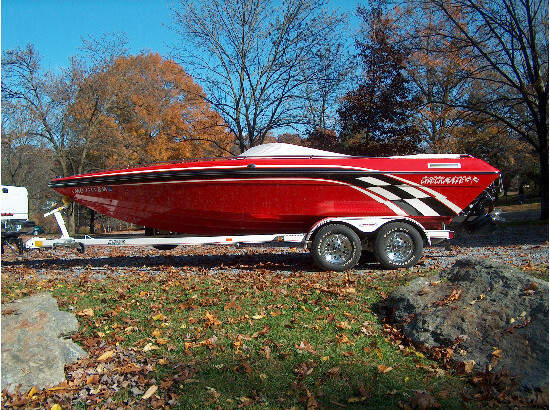 This is a great starter GO-FAST boat with speed in the mid 60's. Professionally built 1996 - 5.7/350 Mercruiser roller motor. Bored .30 over and over 400hp. Motor has Edelbrock aluminum intake. Custom 4" SS black powder coated side exhaust. Boat is LOUD!!! Alpha I outdrive with new pump & gaskets, 21 pitch ss quicksilver prop. Has original captains chairs/cuddy chairs in good condition. The rest is all new custom upholstery. Custom made waterproof towable cover. 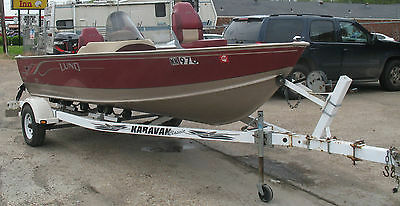 Original matching trailer is included with new wheels, tires, wiring & lights. Serious buyers I will be happy to take you for a test drive! 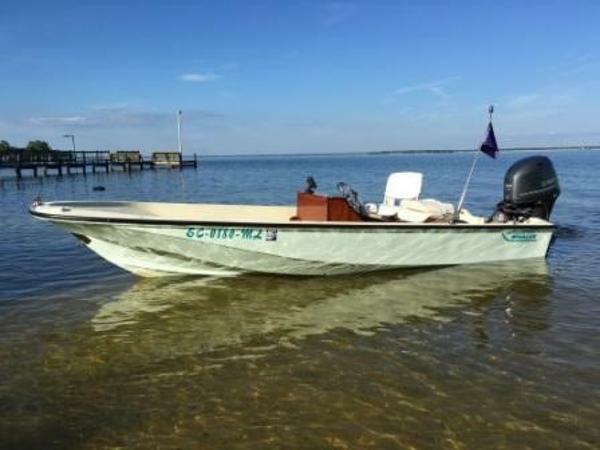 Reason for selling - purchased a bigger boat!! Serious buyers call Bill at 614-406-3983, if you have any questions. 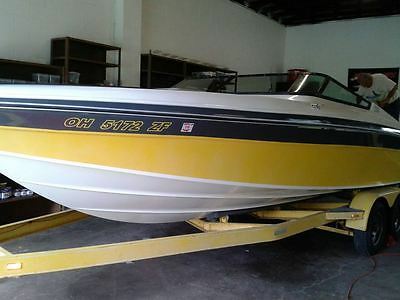 1996 Rinker 23 Cuddy Cabin Mercruiser 7.4L V8 power, Bravo One drive with 5-blade SS prop, dual batteries with switch, integral swim platform with drop-down swim ladder, SS ski tow eye and grab handle, SS cleats, SS bow rails, bimini top, rear sunpad, u-shaped cockpit seating with fill-in cushions, swivel driver and passenger bucket seats, Kenwood CD stereo with remotes, tilt steering helm with Momo wheel, Quicksilver control with trim on handle, compass and depth finder, cuddy cabin with privacy/entrance doors, deck hatch, sink, hidden porta potty, fill-in cushions, swing-out steps for deck access. Includes a Trailmaster tandem-axle trailer. 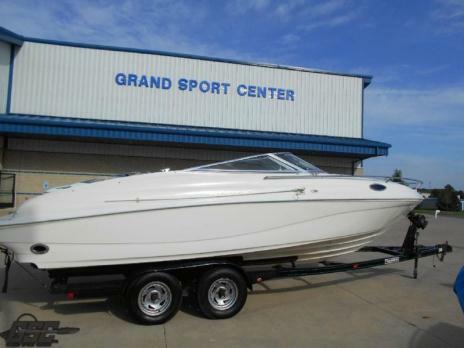 Seasonal Sale Priced @ $10,975.00!! Located INSIDE our lake in the Hills, IL showroom, call us today for more info @ 847-458-6488.